The Georgia FFA-FCCLA Center hosts affordable team building and leadership programs for a wide range of groups, including student organizations, church youth groups, adult leadership, and corporate groups. 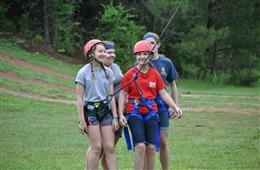 We can provide Low Ropes Course, Obstacle Course, and High Ropes Course programs. All programs at the Center are flexible. Our instructors will work with you to develop a program that fits your needs based on your goals, schedule, budget, group size, and group age. The low ropes course is an excellent choice for groups that wish to build teamwork and unity among their participants. Common concepts include communication, trust, cooperation, encouragement, and goal setting. (2) Low-ropes style elements - more physically challenging elements that reinforce and develop the concepts that have been introduced. Our unique Leadership Course is a head-to-head course that is excellent as a final activity. 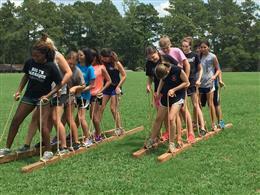 Teams apply the concepts learned into a fun and competitive environment. Participants get wet and muddy. 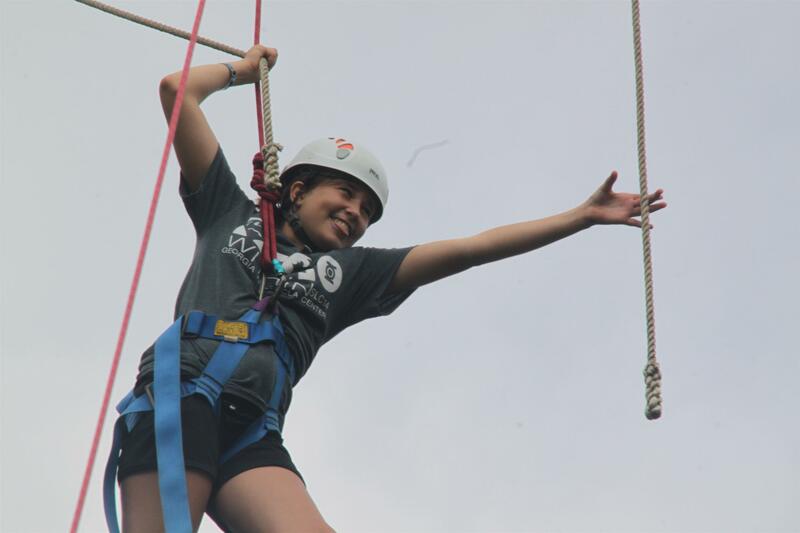 We highly recommend this program for active youth and college groups! 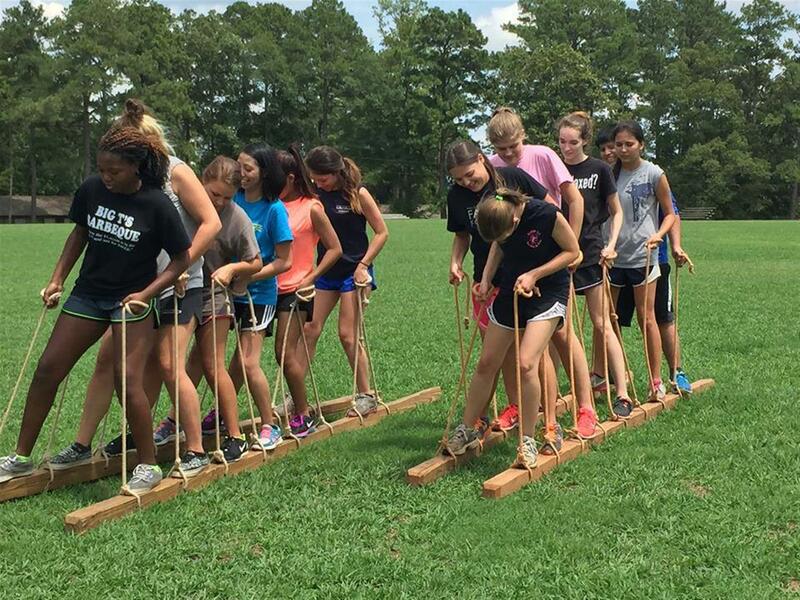 The obstacle course is sure to be an event that your team will remember! The Mud Obstacle Course. The course was built at the Georgia FFA/FCCLA Center in 2012. 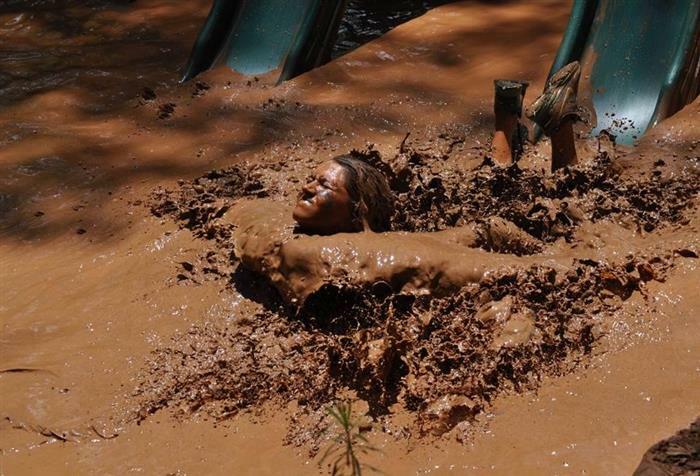 The course features six full mud pit elements and multiple dry elements. Participants will be VERY muddy! 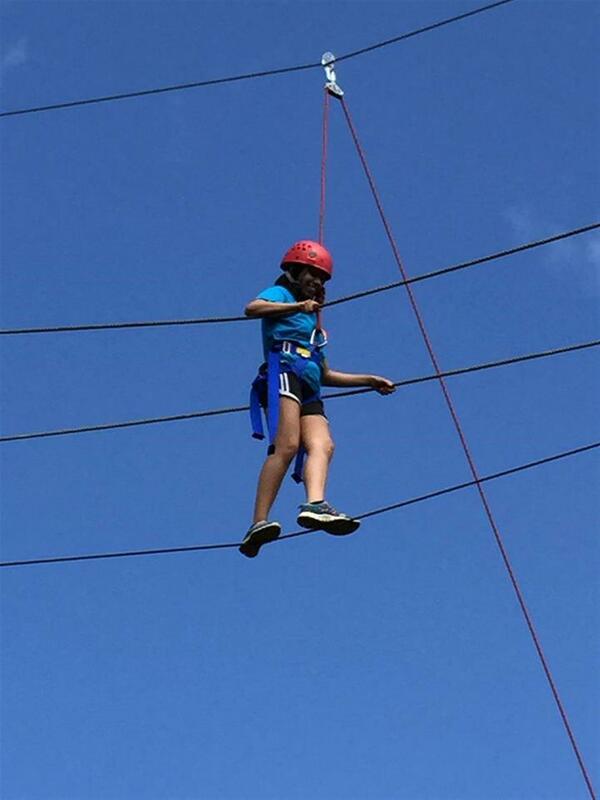 We operate under the "Challenge by Choice" philosophy, so participants have the option to select their personal level of challenge in all activities. For information about options for School/Educational Student Organizations, see our B.A.S.I.C. Training program. Is there a minimum number of people? All programs require a minimum of 10 people. Is there an age limit? The minimum age for most programs is 10 years old. There is no set maximum age limit; anyone in good physical condition may participate. How much time should I plan for? Low Ropes: Programs can be designed to run between 1 hour and 4 hours. 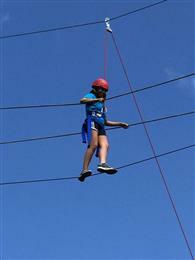 High Ropes: As a general rule, figure at least 5 minutes per person per element. These are only estimates and will depend on the specifics of your program. Is there a release form that I need to sign? All participants must have the signed release form in order to participate. Is it safe? Yes, it is safe. 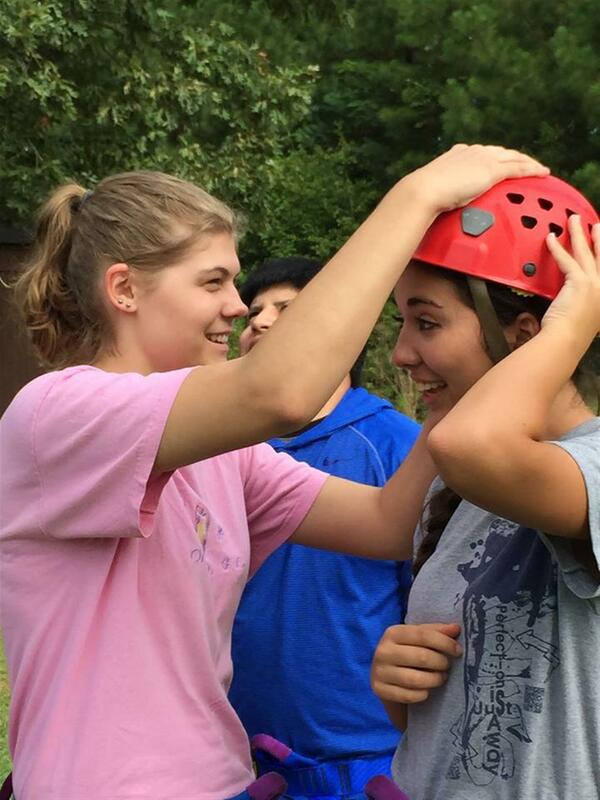 Safety is of utmost importance to us. Our high ropes lead instructor training and high ropes course inspections are performed by Project Adventure, a premier organization in the ropes course industry. Prices are subject to change and are based on the specific needs for your group. The Climbing Wall is available as an individual element. Contact us for pricing. For groups planning to visit the Center only for a ropes course program, use the Day Program pricing. If you would like to extend the program to more than one day, contact the Center for pricing. For groups adding a program to their conference package, use the Conference Add-On pricing. For a customized package, contact the Center office. Contact us for availability and pricing. For best availability, make sure to schedule the course when you make the initial reservation.